This article has just been started and needs the article basics added. Help us out and add them. The Nintendo Switch is Nintendo's seventh major home video game console. Known in development by its codename "NX" and based on the NVIDIA Tegra SoC, it was unveiled in October 2016 and released worldwide five months later. It's especially notable for being the true console/handheld hybrid the Wii U advertised itself as, featuring the ability to switch (hence the name) between console and handheld play styles, and has even received a healthy dose of Wii U ports. Hidden inside all systems is the flog (Get it.. Golf.. floG) binary, which is an NES emulator stub with Golf present and fully playable. While this is in all systems, updates since v4.0.0 have replaced the data with garbage and removed any way to access it. The Joy-Cons must be active and detached from the console. The motion data from the Joy-Cons is tracked. Hold the Joy-Cons pointing forwards/downwards, then move them to a vertical position and hold it there for a bit. This mimics the late Satoru Iwata's "direct" gesture in the Nintendo Direct presentations. The internal system date must be July 11th, which is the date of Iwata's death. If the date is changed in System Settings but the console is connected to the internet and can see the actual date, this method will not work. The Home Menu itself checks if flog is installed. If all of these checks are met, flog begins to play Golf. These are unused controller icons, including NES/Famicom controllers. These appear on the bottom left in the home menu. The NES/Famicom controllers were added in firmware 6.0.0. 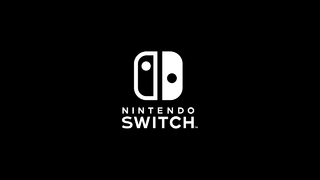 The regular NES controller icon will probably be used when the official wireless NES controller (announced in the 9/13/2018 Nintendo Direct, shipping in December) is connected to the console. This page was last modified on 22 February 2019, at 15:40.